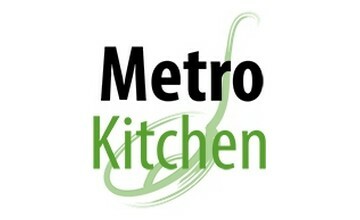 Founded in 1998, MetroKitchen.com is a family-owned company that sells kitchen equipment and supplies. Metro Kitchen has their head office in Atlanta. Metro Kitchen is an internet-based distributor of kitchen equipment, catering equipment and more. Their product line includes cutlery, cookware, bakeware, blenders, kitchen appliances, juicers, coffee makers, knives, doors, cabinets, and many more. Metro Kitchen products are available for sale online at discounted prices. The company offers free shipping to its esteemed customers and offers comprehensive kitchen solutions. if you don’t like any item you bought from this store, you can return or exchange it as per their simple returns policy. They offer top quality products from the leading brands with reasonable warranties for most products. You will get wholesale prices at Metro Kitchen. The company also provides reviews and advice to help you choose the cookware, kitchen appliance or any other kitchen equipment that best suits your needs. You can contact their customer support them and get to speak to an actual person at their headquarters in Atlanta. Each customer support person is a specialist in cookware, kitchen appliances and knives. they will even visit their warehouse and check out products to ensure you have all the information you need to make the right decision.